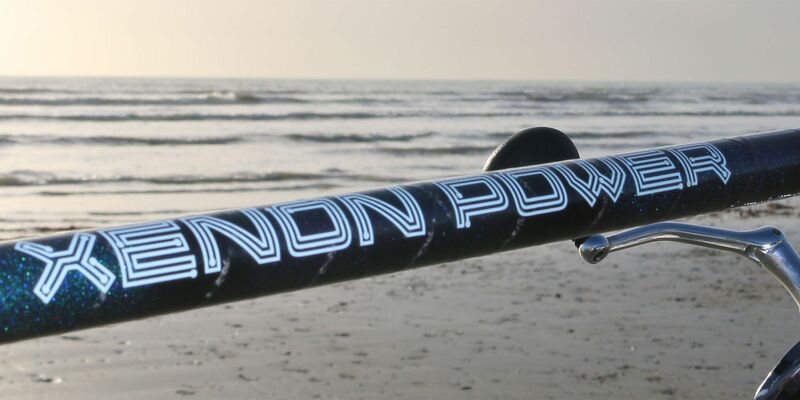 Xenon is a tight range of rods that covers both continental styles and traditional beachcasting rods. 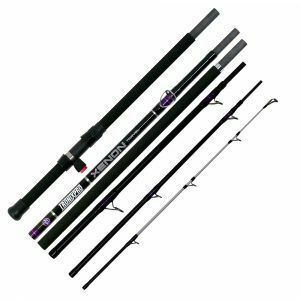 This mid-priced range has been built using 24T carbon which produces a lightweight and strong blank and has been run with quality Fuji K guides that allow the range to be used with either multiplier or fixed spool reels with rods either coming with a Fuji DPS reel seat or Tronixpro Coaster Reel seat. 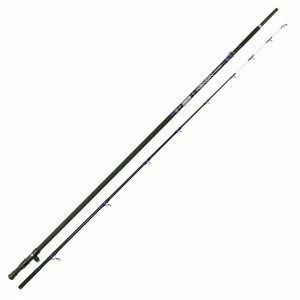 The range features a TT, continental style surfcasting rod that has been designed to cast up to 300g, as well as two traditional beachcasters covering the match and big fish angler. There is also a travel beachcaster, designed for frequent travellers who don’t want to compromise on performance. 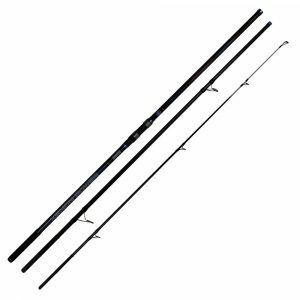 The sleek, dark blanks with their subtle highlights make these rods look as stunning as they perform.